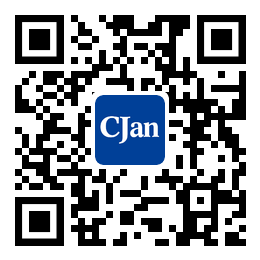 ﻿ Textured silicone hose - CJan Fluid Technology Co., Ltd. The silicone hose, silicone hose netted sanitary, food grade silicone mesh hose, pharmaceutical grade silicone mesh hose, food grade silicone woven mesh hose, pharmaceutical grade silicone woven mesh hose, sanitary grade silicone braided hose body composition with biochemical compatibility mesh hose is the most stringent requirements, in full compliance with the USA Pharmacopoeia (USP) twenty-third version sixth specification; beyond the 3-A standards and the American food and Drug Administration (FDA) the twenty-first chapter 177.2600 section of the specification; after a large number of physical, chemical and biological detection, Class VI, FDA CFR to USP 177.2600, ISO10993, NSF51, 3.1.9 and 3A of the European pharmacopoeia standard, widely used in beverage, beer, the food industry, medical equipment, pharmaceutical machinery, biochemical laboratory and other fields. As for the milk tank suction liquid food; food and beverage production line and filling various kinds of fruit juice, and milk Food additives; daily chemical manufacturing industry conveying Vaseline, alcohol, cosmetics, dilute solution daily chemical raw materials and various types of cosmetics; pharmaceutical industry, transport agents, diluted solutions and chemicals. The silicone hose, silicone hose netted sanitary, food grade silicone mesh hose, pharmaceutical grade silicone mesh hose, food grade silicone woven mesh hose, pharmaceutical grade silicone woven mesh hose, silicone braided mesh hose of sanitary solution does not decompose any smell and taste, meet the compatibility of standard ISO10993 Bio Medical equipment, the bending radius is excellent working temperature range; usually: from -60 ~ C to +200 ~ C; disinfection and sterilization; for pharmaceutical and biomedical applications in the decomposition rate is low; the kernel is made of top platinum cured silicone material; temperature tolerance limit, compression, chemicals, ozone, radiation, humidity and environmental exposure, also accord with the compatibility standard ISO10993 medical equipment widely used in biological, food, beer, wine, beverages, toothpaste, fine chemicals, medicine, biological engineering, food processing, super Pure liquid transmission, cell culture, drug delivery, sterile liquid transmission, motility pump, veterinary medicine, food and beverage transmission.